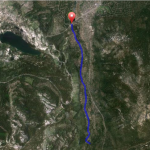 Relatively level bike ride. Caution is needed along the way as there are many users. Pay particular caution, walk you bike, through the commercial marina section just passed Commons Beach Park. Beginning from the Tahoe City Transit Center parking area turn right on the bike path and cautiously cross Hwy 89. Turn left on the Dam, right on Mackinaw Rd, and right on Commons Beach Road to reconnect to the bike path. 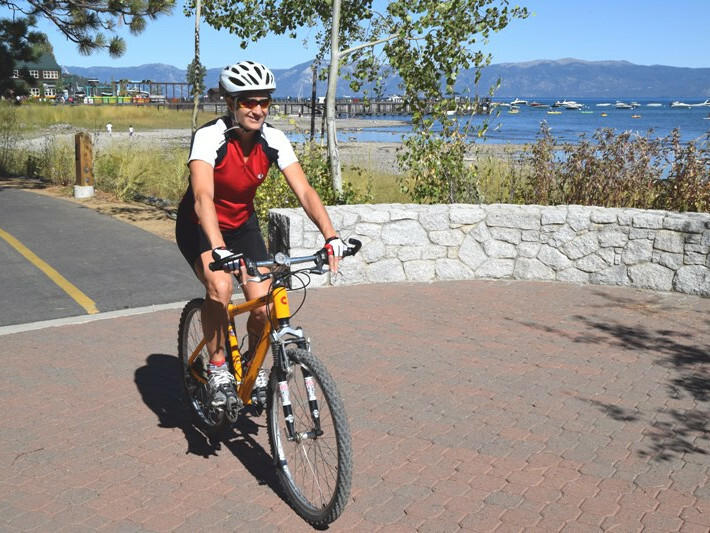 This ride is in the heart of downtown Tahoe City providing easy access to a wide variety of recreation, shopping, and food and beverages options. 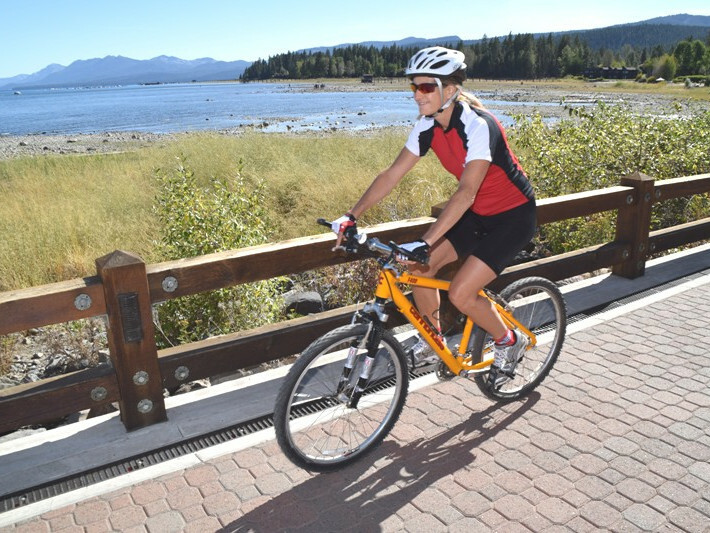 You can literally cruise between Tahoe City and Dollar Point without the need for an automobile to enjoy North Tahoe. Beaches: Commons Beach Park, Lake Forest Beach, and Skylandia Park & Beach. 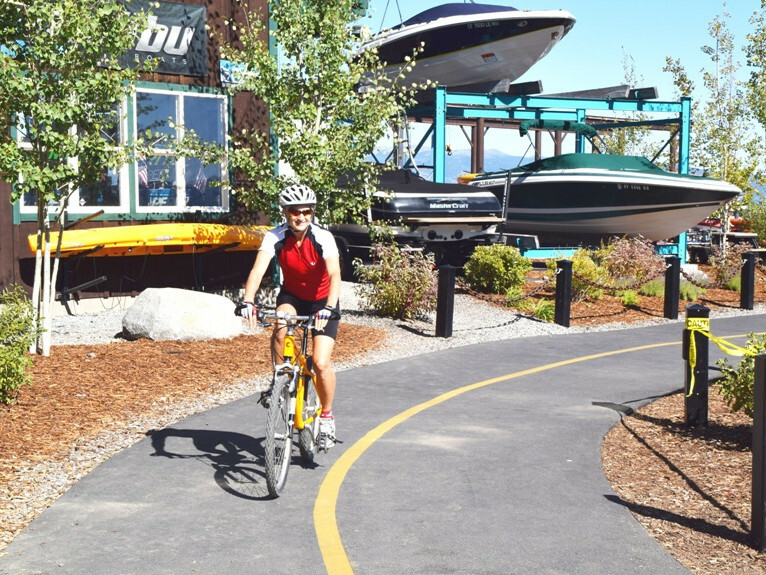 Campgrounds: Tahoe State Recreation Area, and Lake Forest; and there are marinas to rent watercraft and many shopping and restaurants to choose from. 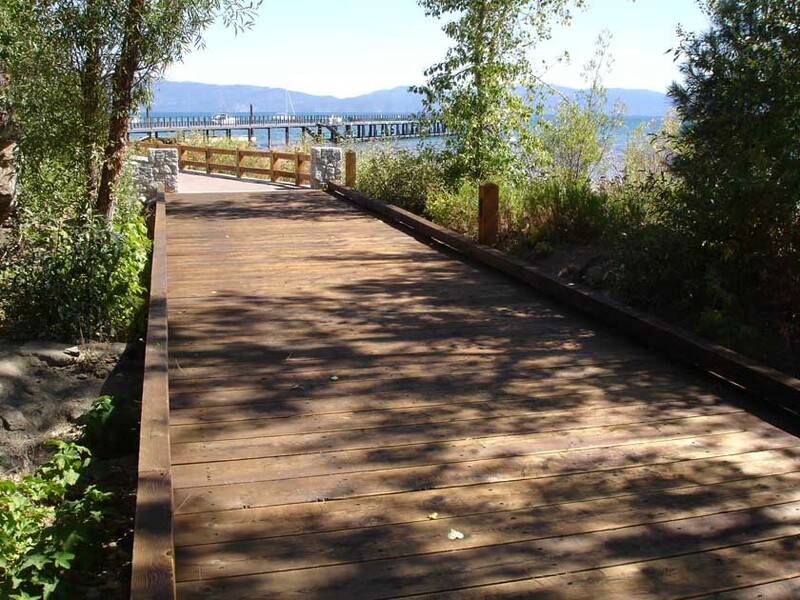 The Tahoe City area was and continues to be a commercial hub along the waterfront. Early in its history, Tahoe City was the maritime port where the waters of Lake Tahoe and the Truckee River provided the means to transport vital natural resources for supplying the logging, mining and fishing industries. 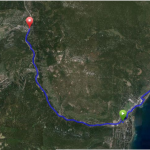 Toward the late 1800’s a narrow-gauged railroad was built to transport logs and freight between Glenbrook, on the eastern shores of the lake, to Tahoe City en route to the mills in Truckee. The Lakeview bike path along Commons Beach Park was formerly the railroad right-of-way called Swallows Bank and used in the early 1900’s.